Compared to the problems reported in Boston, Southborough’s transportation issues seem tame. But given the communications from the administration, it’s clear things didn’t start smoothly this year. The latest update acknowledges that this year has been “atypical” with many more “challenges” than usual. It shares that Superintendent and Assistant Superintendent personally met with the President of the bus company (NRT) this week to demand resolutions. The result is that several NRT employees are tasked with working full time on fixes. Those are to be in place before the next morning pickup on Tuesday, September 11th. (They will be posted to the website by sometime on Monday, which is a school holiday.) You can scroll down for the full message. Last spring, Superintendent Christine Johnson told the school committees that the bus company was being asked to work on models to consolidate bus stops. 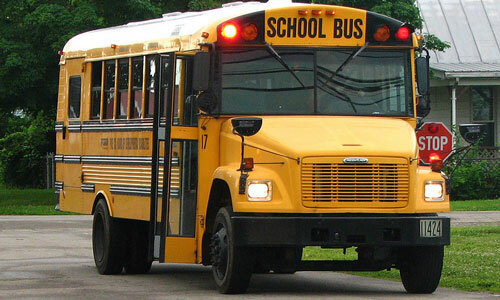 As usual, routes were posted to the district’s website early the week prior to the first week of the new school year. The first public indication that there may be more complaints/questions than usual was an email by Johnson the Friday before school. It stated that the initial posting was to allow feedback in time to fix issues before the start of school. Updated routes would be (and were) posted by the Monday night before the start of school. Our bus routes are updated with information that is available to us at this time. We have been assured by NRT that students will be picked up by the bus assigned to the neighborhood route if they are standing in front of their home or at the nearest bus stop. This year we are pleased that the majority of our bus drivers have years of experience with our routes and are familiar with the customary stops. We have assigned a contact at Central Office tomorrow to address any concerns. Please dial 508-486-5115 x 71242 if you wish to speak directly with someone. We do anticipate revisions to the currently published routes. Since then, multiple updates indicated that complaints continued to come in. Messages promised that NRT was continuing to resolve issues. The messages came before and after a third version of the route was posted on August 30th. As with any start to the school year, there are transportation logistics that need to be addressed and resolved. The beginning of this year has been atypical and has presented many more challenges on the transportation front. On Wednesday morning, September 5, 2018, Superintendent Johnson and I held a meeting with the President of NRT and demanded a resolution to the issues that we communicated to NRT. What resulted in the meeting was the President organizing an NRT team to address all of the issues that were communicated and a commitment from NRT that these changes would be implemented no later than Monday, September 10, 2018. He also shared that due to the volume of changes required, it would take several of his employees three full days to resolve. As of last evening, NRT was still working on the changes, and the Vice President communicated that would not have them completed by this morning’s bus runs. NRT has assured us that updated routes will be provided for us this evening, Friday, September 7, 2018. Superintendent Johnson will send a One Call notification when the routes are available on the District website, which will be posted on Monday in preparation for school on Tuesday, September 11, 2018. There seems to be something weird here. I don’t understand why NRT was asked to consolidate bus stops if they are so willing to address all the issues. There must have been some impetus for the change, so why no communication about it? and why the willingness to forget it so quickly? This again shows the disfunction going on in the Superintendent’s office. If anyone thinks that Johnson or Martineau really care about this issue, you are delusional. All they care about is that people stop calling and pointing out their short comings. Everything either one if them touches turns to crap. The district has lost good staff member after good staff member and school committee turns a blind eye. How many long term people have to leave before they wake up? I fear our school district will continue with issue after issue like this as long as those 2 are at the helm. Wake up people! I was done with Ms Johnson after the embezzlement. This is just more evidence. My guess is the Education Committee will do nothing.